AIA Huron Valley - Farmer's Market this Saturday?? Stop By!! Farmer's Market this Saturday?? Stop By!! 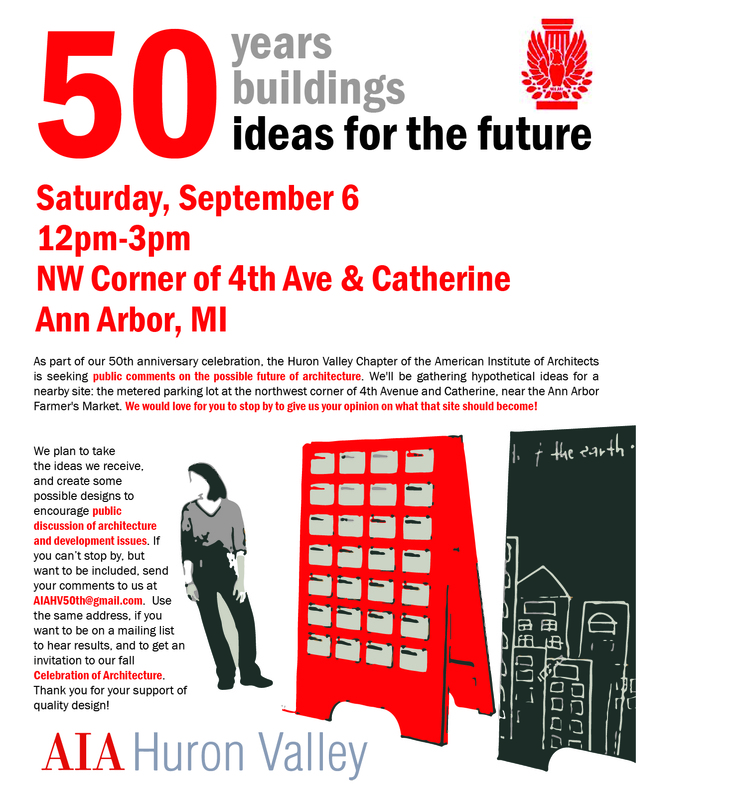 As part of our 50th anniversary celebration and our year long program 50/50/50, the Huron Valley Chapter of the American Institute of Architects is seeking public comments on the possible future of architecture. With a large display and enthusiasm we will be gathering hypothetical ideas for a nearby site: the metered parking lot at the northwest corner of 4th Avenue and Catherine, near the Ann Arbor Farmer's Market. We would love for you to stop by to give us your opinion on what that site should become; we'll be there from 12pm-3pm, Saturday, September 6th.